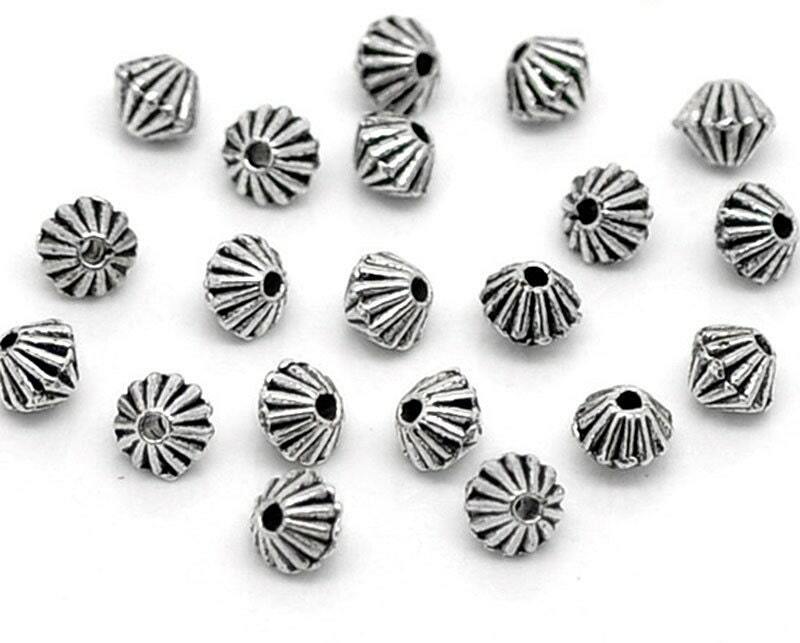 Zinc Based Alloy Corrugated Spacer Bicone Beads in antique silver. Carved or corrugated. 50 beads. Size is about 5mm (2/8") x 4mm( 1/8").